19 On Elizabeth comprises two x 3 bedroom self-catering holiday apartments located on the Port Shepstone Beachfront. 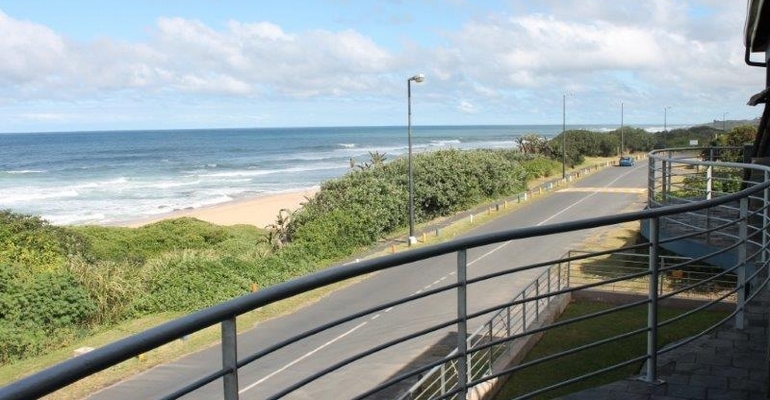 Not only are these fully equipped self-catering apartments close to the beach, they are also a mere 600-meters from the Port Shepstone Fishing Block for fishing enthusiasts and within close proximity of numerous restaurants. Each unit comprises of 3 bedrooms and 2 Bathrooms, with the main-en-suite. Queen sized beds can be found in two of the three bedrooms, with 2 single beds in the 3rd bedroom. Whilst the holiday apartments are ideally suited for 6 guests, arrangements can be made to accommodate a maximum of nine people. Both apartments have fully-fitted kitchens with Granite Counter Tops and sufficient cutlery & crockery. Braai (BBQ) Grids are also provided. A large swimming pool is there for your enjoyment, as well as a Jungle Gym for the kids. Note: Bathing Towels are provided, but you are to supply your own swimming/beach towels. Situated near Kapenta Bay Hotel, close to the Oribi Plaza and many restaurants. Adjacent to Port Shepstone Beach.